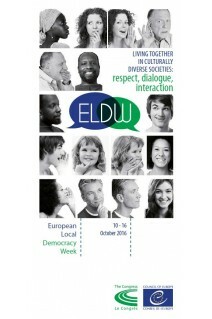 The European Local Democracy Week (ELDW) is an initiative of the Council of Europe and its Congress, launched in 2007. 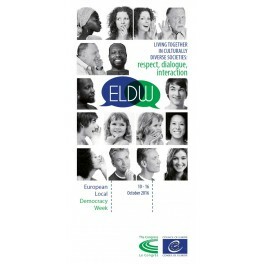 The Congress, a political assembly composed of elected officials from local and regional authorities from the 47 Council of Europe member states, is responsible for the coordination of this pan-European initiative. The theme of the 2016 edition (10-16 October) is Living together in culturally diverse societies: respect, dialogue, interaction.